Solidarity with Gambrinus is at home. The most striking example of solidarity understood as proximity to the neighbor in difficulty, is certainly the practice of suspended coffee. It has become a tradition that we could call historical, it is strongly supported by the Neapolitan people who have always given small gestures like that of giving a coffee to those who can not afford it, making it a unique people in the world. But not just suspended coffee. Gran Caffè Gambrinus has supported and continues to support over the years, various initiatives in solidarity, which make this place really special compared to all others in the city. The Gambrinus has in fact been engaged for several years in activities of mutual aid and solidarity that have also led to great results. At Easter 2015, for example, Caffè Gambrinus gave the equivalent of 400 coffee suspended to the Ciro Vive Association, founded by Mrs. Antonella Leardi, in memory of her son who was brutally killed due to clashes between opposing football fans. In 2016, the proceeds of the suspended coffee was donated instead to the populations of Central Italy hit by a terrible earthquake. For this Christmas 2018 the proposed initiative has involved the most destitute people living in cities like the clochards, to whom the doors of the cafeteria were opened and every morning they could have free croissant, cappuccino and coffee. So Gambrinus is not only a symbol of the city, where art, history, literature, culinary translation live together, but also the perfect place to help others, those who live in a state of social and economic disadvantage. 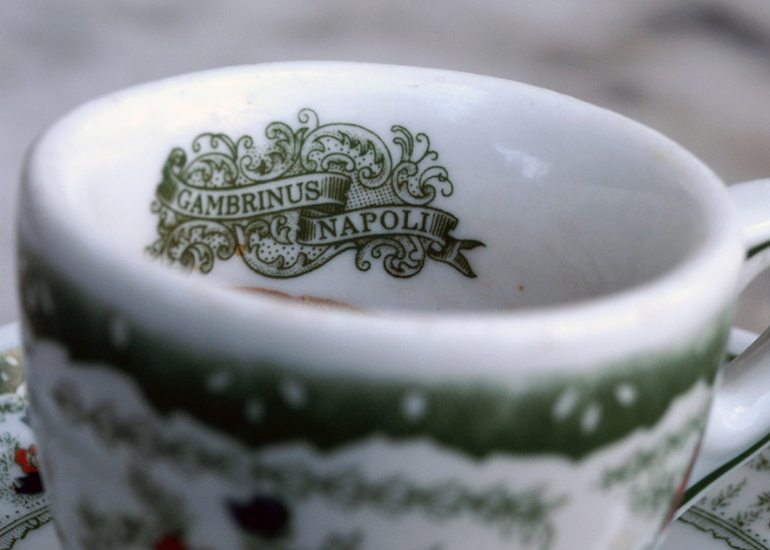 The solidarity initiatives proposed by the Gran Caffè Gambrinus make us understand how great is the heart of the Neapolitans, who never cease to combine the verb to help.